1) EXPRESS DELIVERY by means of DHL Express. 1- 2 days delivery to Europe and USA and 1-3 days to the rest of the world. 2) STANDARD DELIVERY by means of EMS - 6-10 business days depending on the destination country. 3) CLICK & COLLECT DELIVERY by means of postal services 21-180 days depending on the destination country. 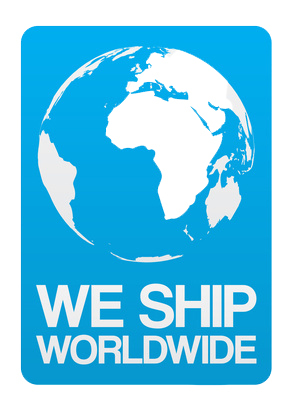 - Shipping cost includes all taxes and fees except possible import duties and taxes in your country. - You may track your shipment by the tracking number we provide by e-mail after your order has been shipped. - The best place to get the shipping quote for your order and to track your shipment is My Account page. - You can calculate estimate shipping cost in checkout page.